There are moments while playing videogames that make you step back and say "Good golly" or "Gee whiz" or even "Hot damn!" Then there are the moments that render you absolutely speechless. PlanetSide 2 offers both of these, and in good numbers. It's a wonderful game, hampered by the fact that it's free-to-play. 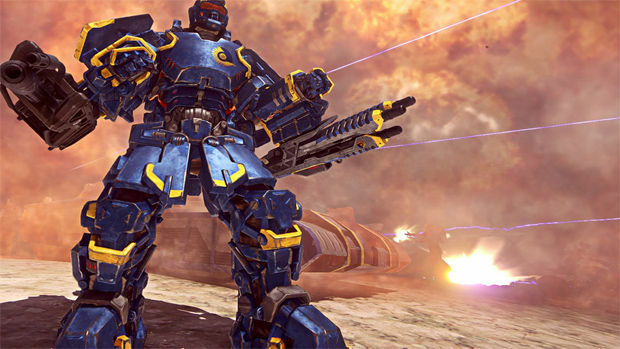 While the free-to-play model is far from perfect, it would be hard to come up with enough reasons to dissuade someone from downloading the game and experiencing all that PlanetSide 2 has to offer. 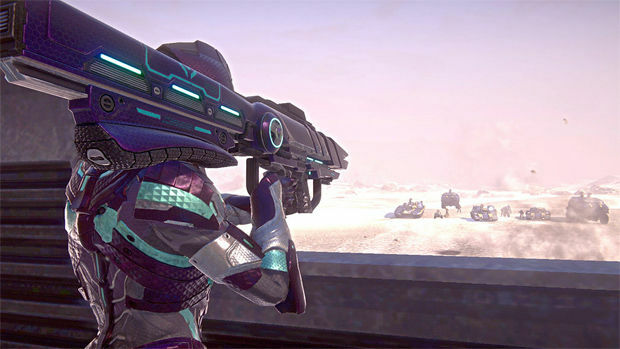 PlanetSide 2 is a first-person shooter unlike any other out there. Well, except maybe the first PlanetSide. Three factions fight over three gigantic continents for map and resource control, and once you join a faction, you're thrust straight into the action. There is some minor importance as to which faction you choose, as each has their own pros and cons. These aren't explicitly stated when creating a character though, so sometimes you'll end up in a faction that doesn't fit your specific playstyle. You are allowed to create as many characters of whichever faction you like, however, so if you decide that the Vanu Sovereignty isn't the best for sniping and you want to switch, you can do exactly that. The differences between the factions aren't anything ridiculous, but they will alter the way you play, albeit slightly. There are six classes to choose from, each with their own specialties and customization options. The Light Assault uses a jetpack to access areas other classes cannot; the Infiltrator can cloak and fills the traditional sniper role; Medics can revive and heal allies (duh); Engineers can fix vehicles and structures; Heavy Assault is great at destroying vehicles and structures; and finally the MAX is essentially a walking tank, a slow killing machine that's not easy to take down. 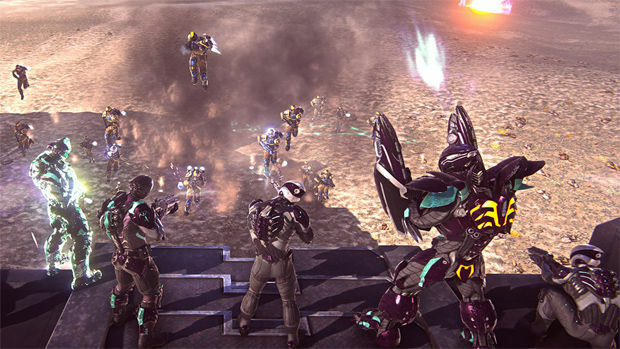 One of the biggest issues facing PlanetSide 2 is the fact that it doesn't do a great job of explaining the many systems at play. It is entirely possible for someone to play the game for hours on end and not fully comprehend something as simple as how Certifications, the in-game currency, are accumulated. There is a pretty good series of YouTube tutorials from the team, but they are easy to overlook. The only reason I saw them, in fact, was because I was exploring the launcher as the game patched. Each continent is broken up into small hex-shaped segments, each with its own base(s) and benefits. Captured areas will give their owning faction a resource boost and sometimes an added bonus, like reducing vehicle costs or turret heat. It becomes easier to capture areas that border ones your faction already owns, so going deep into enemy territory in an attempt to steal a key area will often prove fruitless. On top of that, captured areas that aren't connected to your faction's territory won't gain any benefits, so there is really no point in capturing them anyway. The problem is that many times, a faction will do a great job of taking over a set of territories, only to have them taken back within the next 24 hours. It gives the impression that what you do doesn't really matter, since before long your achievements will more than likely be reversed. Resources are split into three groups: Aerospace, Mechanized, and Infantry. They are gathered over time at a rate based on how many locations on the map your faction controls. Resources are spent on both air and ground vehicles, the MAX class, and infantry items like grenades. It is always important to remember to spend resources, since any time spent not gaining resources (in other words, playing while maxed out) is essentially wasted. Traveling around with a squad of friends while achieving small, but manageable goals is an absolute blast. The game doesn't necessarily encourage coordinated team play, but I sure as hell do. Working together in such a hectic environment is a very sublime experience. On the flip side, however, I've never felt as lonely in a massively multiplayer game as I do while rolling solo in PlanetSide 2. Without a competent squad and teamwork you can't get much done around the map. The other major issue is the lack of any overarching goals within the game. Sure, each faction wants to control as much of the map as possible, in order to gain more resources and perks, in order to…control more map. When you step back and consider why you're capturing that base, it all seems so pointless. It's a constant tug-of-war with no real consequences or end game. 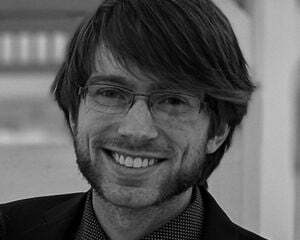 Now, let's chat a bit about the free-to-play model, since it's such a huge part of the game. There are tons of weapons, weapon enhancements, abilities, and upgrades to acquire with Certification Points. They are, arguably, the only reason to keep you playing due to the aforementioned lack of any long-term goals. You can finely tune each class to your liking, turning an Infiltrator from a traditional sniper into a close-range invisible nuisance, if you wish. The rate at which you gain Cert Points depends largely on how you perform. You'll acquire Cert Points over time, even when logged out, at a rate of roughly one-per-hour. One Cert Point is also awarded for every 250 experience points, the latter of which are doled out for just about anything you do. Although I felt as if I was doing well, my Certification gain was painfully slow and weapons cost way too much. At a casual rate of play, unlocking a single new weapon for a single class may take you a week or two, even if you forgo important upgrades like health and armor. Many new weapons cost 1,000 Cert Points to acquire, though some are as cheap as 100 or 250, and the initial slate of basic health and armor upgrades can cost as little as 1 point. There is a system in place to test a weapon out before purchasing, which is absolutely necessary in this game. It doesn't give you the best description of each weapon, leaving you to otherwise guess as to its effectiveness. Trials last for 30 minutes, each weapon has a testing cooldown of 30 days, and weapon trials can only be activated every 8 hours. You can, of course, just spend real cash money on Station Cash and get items much more quickly. As to whether or not it's "pay to win," well, it's tough to know for sure right now. Yes, there are a bunch of cosmetic items to spend Station Cash on, but if a player chooses to spend real money on a weapon, they can then use the Cert Points that would have been spent on that weapon to improve their abilities and character, giving them a bit of an edge. You cannot, however, spend real money to upgrade things like health or abilities. To the game's credit, the starting weapons feel more than capable of mowing dudes down. With more time comes more people with more upgrades, though, and only time will tell how balanced each item is. There is no use beating around the bush: you're going to want a powerful machine to run this game at some of the better settings. My computer is far from top-of-the-line, but playing on medium-low settings gave me a comfortable framerate during all but the most chaotic of scenarios. It didn't look as pretty as the screenshots, but it was far from ugly. More amazing than the graphics is watching as each battle unfolds. Storming a base with a squad while air vehicles whiz overhead and turrets bombard tanks is an experience unlike any other. Especially since you know that every single one of those planes, each and every tank, and 100 percent of those turrets are being controlled by real people. Honest-to-goodness human beings! Buildings are definitely repeated, as layouts in various areas of each continent will look very familiar. It doesn't feel cheap or lazy, though, and is almost a necessity for a playing area as large as PlanetSide 2 offers. It helps when taking over buildings, since it isn't necessary to memorize hundreds of building layouts and you'll soon grow familiar of the layouts available. 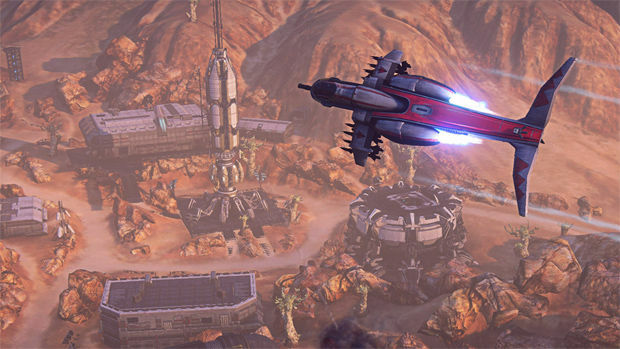 PlanetSide 2 is a wonderful experience, but I really wish it weren't a free-to-play experience. If perhaps it was given a legitimate price tag and had a more traditional unlocking system, it would feel more open to the player. The free-to-play model does serve as one of the few motivations in the game, however, since there are no real long-term goals to be seen. When you step back and ask yourself "Why? ", there is no clear answer. 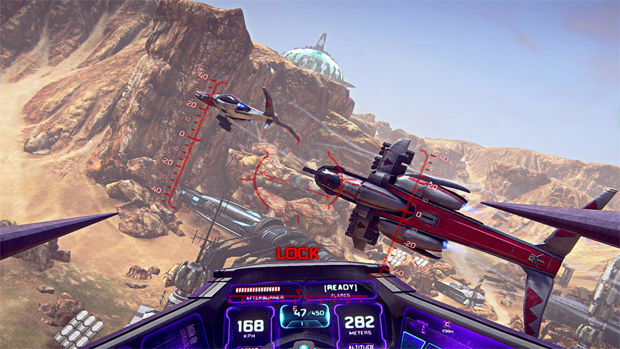 Despite these shortcomings, it would be a mistake not to recommend PlanetSide 2 to anyone who thinks their PC can handle it. Being a part of huge battles, the likes of which games like Battlefield 3 only dream of, is not to be understated. If there's a better free-to-play game to have a short-term fling with, I have yet to play it. Just don't expect any sort of meaningful commitment.